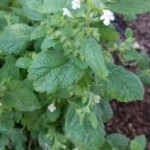 This sun loving annual is part of the mint family, with a square stem and alternating and opposing leaves. It has over 150 different varieties of its kind like lemon, cinnamon and holy basil to name a few. I like to grow it from seed under lights and put outside as starts. I also directly seed into the ground after Mother’s Day. I have found that directly seeding into the ground produces better. But I still like the starts to give me a few early leaves to use in cooking. Don’t let the plants flower by keeping them cut back and they’ll continue to produce all season long. It’s Greek meaning refers to “kingly” or “royal herb”. 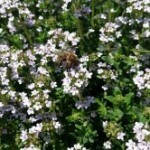 Historically it was used for royalty in healing salves. 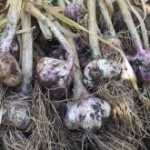 We use it today as a culinary and medicinal herb. 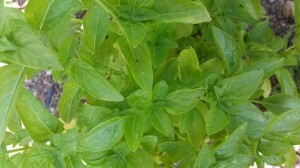 Basil effects the digestive and nervous systems (because it’s a mint ;) ). It will help with stomach issues like bloating, cramps, nausea and vomiting. 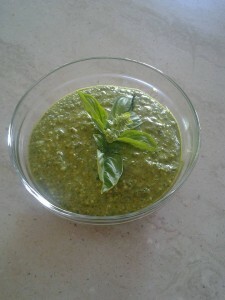 Basil regulates gut flora so it supports the immune system. It is on the calming spectrum of the nervines. A mild sedative that can help with headaches, fatigue, anxiety, insomnia and irritability. It also contains antibacterial properties and can help relieve itch and pain from insect bites. There are no contraindications. A word about Holy Basil… or otherwise known as Tulsi. It grows wild throughout India and is considered a highly regarded plant in Ayurvedic medicine. It’s the only basil that reseeds itself in my garden. It is used regularly for restoring vitality and renewing energy on a regular basis. 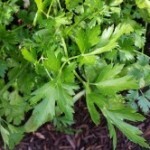 It can be made into a tincture or a tea. 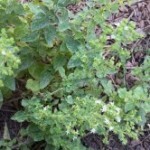 Try making a tea with basil, lemon balm and chamomile for headaches and even stomach aches. Here are a few of my other favorite recipes. 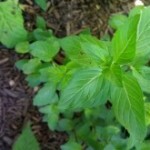 What do you use basil for?